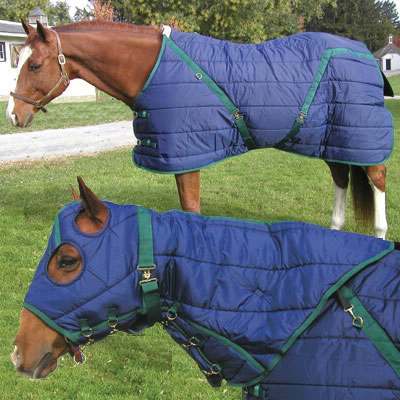 We have an extensive variety of horse blankets and pony blankets on sale now at economical pricing. Rest assured you will be given only superior quality products here at our online Horse Tack Store. This quilted water resistant material provides a great blanket for all climates, as well as a great turnout blanket for mild climates. The Pony Stable Blanket is composed of a 420 denier nylon shell, an internal 368g of fiber fill and a comfortable inner nylon satin lining. The blanket is accompanied by two adjustable straps at chest, as well as cross over surcingles and removable elastic leg straps. Treat your pony with a premium quality blanket. They are designed to last for numerous years to come.